A book opens a whole new world in front of your eyes. Great authors have a way of encouraging your imagination and awakening the deepest emotions. It’s no wonder why reading is an addictive habit you can never get enough of. 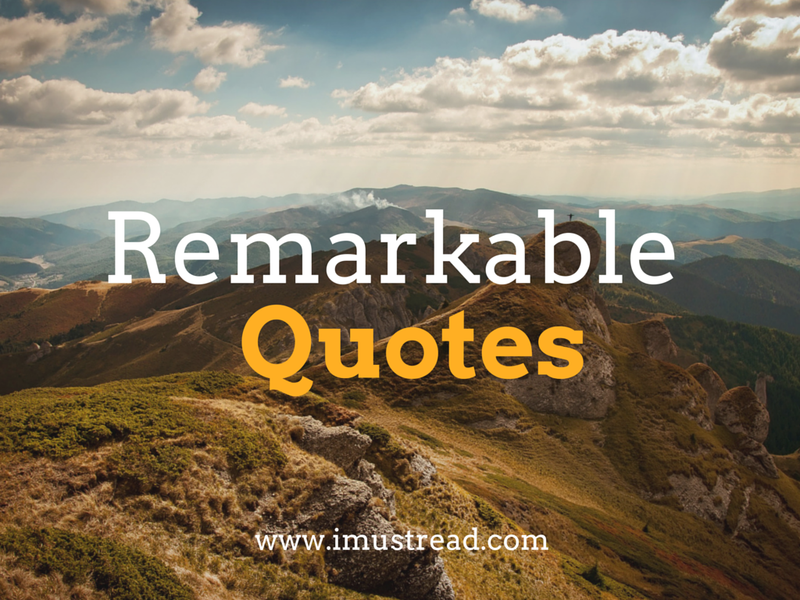 These 15 famous quotes about reading will make you pick a book and leave all worries aside. Every aspect of your life is a battle. You fight to prove a point, you stand up for yourself, and you do your best to tame your inner demons. Each book you read teaches you something about life. You shape your values and gain confidence to face the world. Sherman Alexie told the truth: enough books make you a better warrior. Books form characters. You are what you read. If you know someone who reads only popular chick lit, you don’t expect him/her to get engaged in intellectual conversation. When you meet someone you’re impressed with, ask about his favorite books and you’ll realize which authors formed his opinions. Have you noticed the magical magnetism of old books? Even when it has suffered damage, an old book has good karma. It has been loved by a lot of people before it reached your hands. The yellow pages give out a familiar scent of wisdom. Think about the people who spent days and nights over the same book; you’ll feel a strange connection with them. Hemingway knew how to hit the point in few words. When the world lets you down, you’ll find comfort with your favorite authors. You find your own struggles and happiness in the characters you meet, and suddenly you realize that a book heals your soul. Books are the only friends that can never let you down. Wilson was a harsh critic of Tolkien’s The Lord of the Rings, but millions of readers wouldn’t agree with that stand. A book touches each reader in a unique way. One reader may perceive a book as a love story, but someone else may view the story as a tortuous story with an unrealistic ending. That’s why you should never base your opinions on other people’s reviews. Read the book and look into your soul to find the answers. Of course George Martin’s quote had to be related to death. He is right: when you read a book, you live through the struggles and joys of its characters. You are happy when good things happen to them, and you are deeply hurt when they suffer. People who don’t read don’t have such empathy for other people’s destinies. The book you hold in your hands is not plain paper with irrelevant words on it. It contains the author’s deepest emotions, dreams and contemplations. Think about the sleepless nights the writer spent and the inner battles he went through before he was able to finish the book you now read. Show some respect towards it! The problems you face seem huge in your own eyes. Sometimes you feel like the whole world is against you. The right book at the right time will show you that you’re not alone. Every human being has to go through trauma, fear and pain to see the light, love and beauty of life. Each book you read expands your horizons. With every page you read, you understand the world and yourself a bit better. Some books are capable of pulling the veil of darkness away. When they change the way you see the world, you understand it more than ever. There is no better way to escape reality: just take a great book and you’ll launch yourself into a completely new world. Suddenly, your worries will become irrelevant and you’ll feel free to explore life in all forms it takes. Reading sets people free from the chains of mediocrity! The feeling is familiar to every passionate reader. You have too much work to do? All of your friends and coworkers are getting on your nerves? Nevermind, you know you’ll have a nice, peaceful evening with an amazing book and a cup of cocoa. That’s an expectation that helps you go through a tough day. Book nerds are cool. They have great imagination and they can always win an argument by quoting a famous author. They are sensitive, deep and intellectual. Dr. Seuss said it all: book nuts are awesome! The perfect book will find you at the right time. You can’t read a deep book if you’re not ready for it. If you don’t possess the needed experience, the author’s words won’t hit you at the right spot. Sometimes you know that a book has value, but you just don’t feel like it’s the right time for you to read it. Leave it aside. It will call you when you’re ready for it. A writer has no mercy. He won’t tap you on the shoulder telling you that all your actions are good. You won’t find a great book full of approval; literature has a way of making people aware of the mistakes they made. A great novel won’t make you feel sorry about yourself; it will drive you towards personal growth. Your life seems too short when you think about all those books you want to read. How much time do you waste on social networks and useless conversations every single day? Be wiser and use that time for reading. Otherwise, you’ll never achieve your full potential as a reader and a human being.